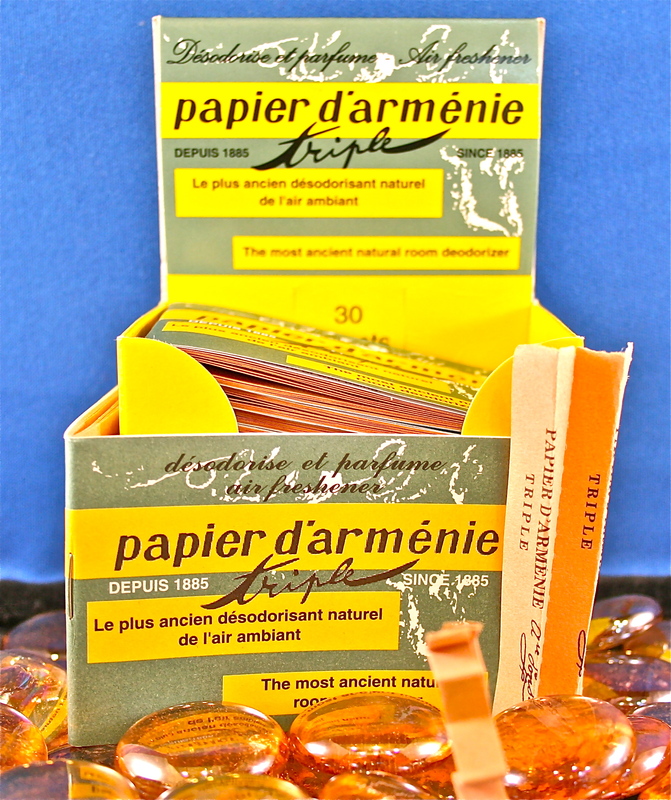 Papier d’Amernie, so ancient it has its’ own wikipedia page, and now it’s sharing a little part of history with Thompson Alchemists. These booklets retail for $7.00 each and houses 12 sheets of paper, each cut into three. Tear one off, fold it accordian style, light it up and blow it out as you would incense. Enjoy the exotic, subtle, and purifying scent of vanilla that follows. It’s perfect to have around your home. Leave it in a bowl and light a tiny sheet to freshen the air. 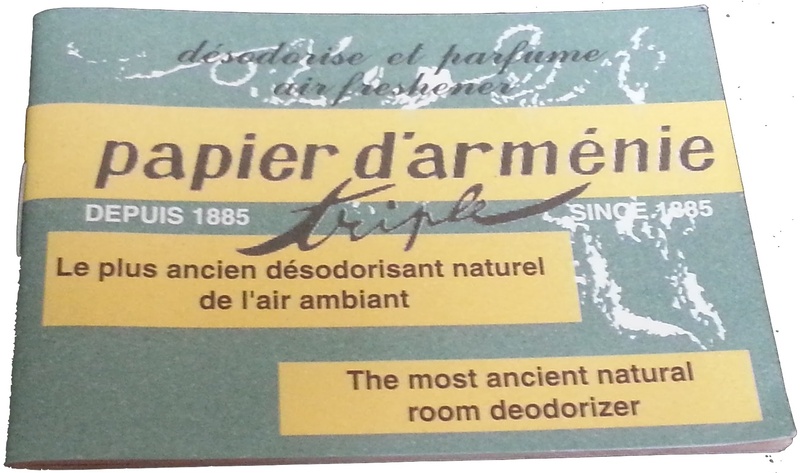 We love this scented paper and use it daily. The production time of a single booklet takes 6 months and have been made in the same French factory for over a century. Clearly, they’ve got something right!